Often I see older wooden windows that are in great shape, whose paint finish has lasted well through the average 15 year paint maintenance cycle, and in homes where heating and cooling costs are reasonable. These wooden windows ALWAYS have the protection of a storm window. 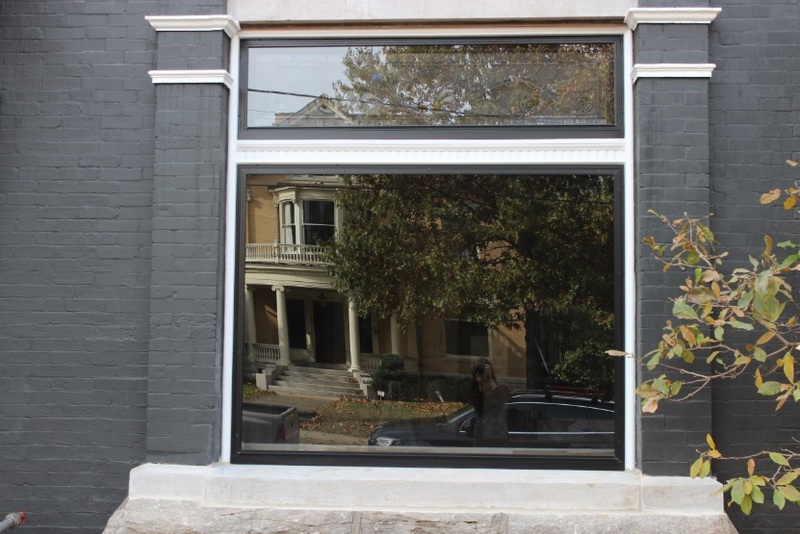 Although never intended to be a permanent part of a building, most storm windows are considered temporary coverings (perhaps 25 years of life expectancy) and should be replaced when they are no longer sound or seal out drafts. Our local utilities would agree with this, as KU and Columbia Gas representatives have told me the replacement of windows is generally not beneficial in a long term cost analysis. 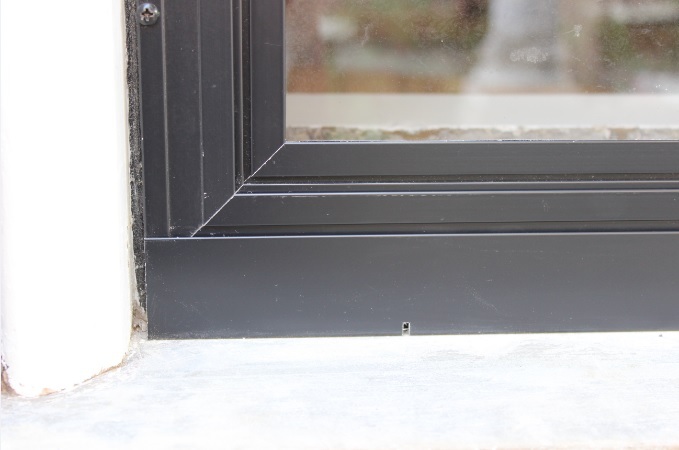 Many wooden windows without storm windows show early signs of failure, so I believe wooden windows require either a storm window or hefty allowances in budget categories for maintenance and heating/cooling. Unprotected, the paint maintenance cycle may be as low as five years for wooden windows with an average paint job. Professional painters have told me that storm windows can extend this to over twenty years. Measure and inspect openings for custom fit. cut loose wooden sash in preparation for removal if necessary. Prepare mounting surfaces for good seal. Clean exterior of glass in wooden sash. 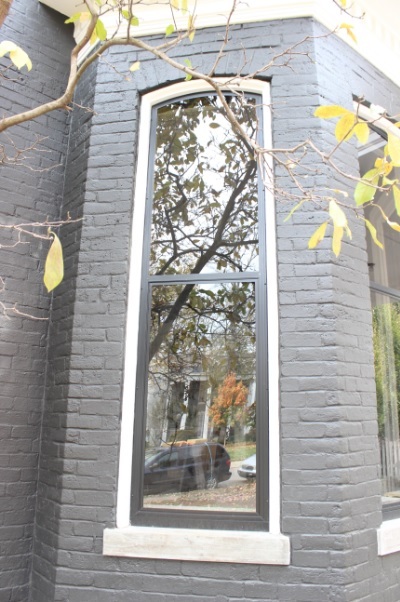 Install custom made storm windows at site. Demonstrate operation and removal of storm window panels for cleaning. “Laryn, Thank you for the recommendation. I can’t believe what a difference the new storm windows make in my old house. Bring on winter!” – Barbara K.
The idea of storm windows is often rejected based on the look of cheap models put onto the market in prior decades. 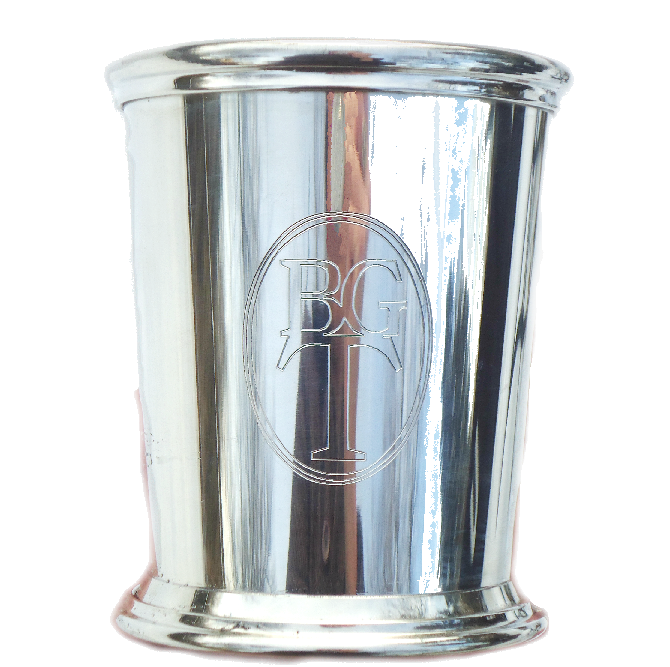 We may recall mill aluminum units with ill fitting or missing panels of glass and screen. Often painters and handymen handling the units were not careful in replacing all mounting screws or even parts are missing. Those storm windows were often unappealing, clunky looking additions, which took away from the original lines of home design. We solve this problem with units we have found and installed on many older buildings. 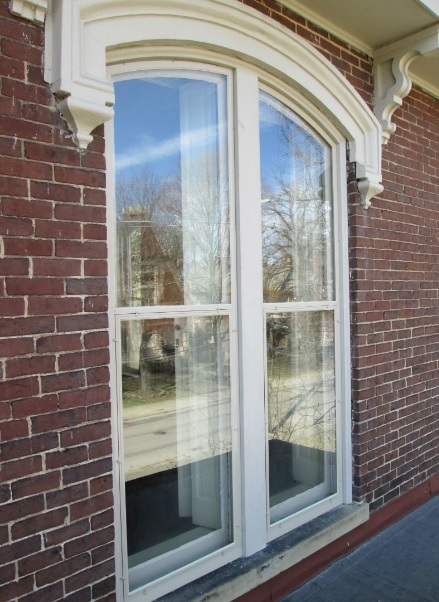 For example, Allied Window offers a “Historic One Light” storm window. Once installed you will hardly know they’re there. A friend of mine has said, “People should notice your house, not your storm windows”. 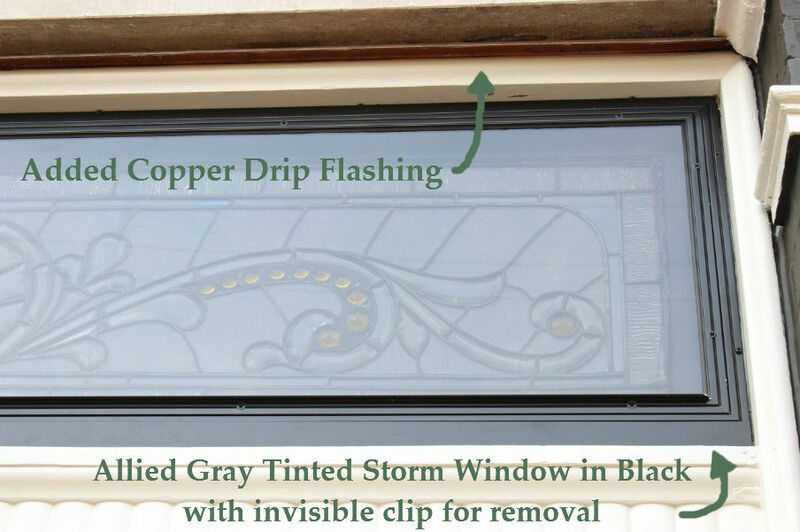 Storm window frames may be generally installed in what is called “inset mount” or, for those determined to retain the look of a wooden storm window, are available in what is known as “flush mount”. Below are some close up pictures distinguishing the two. 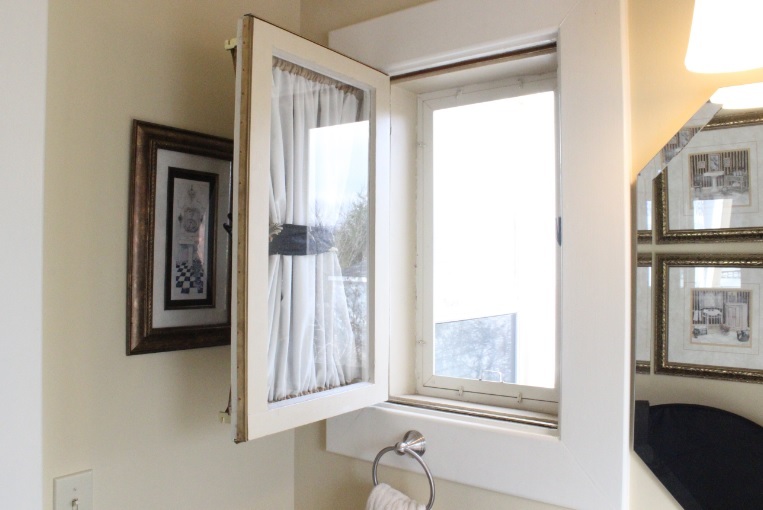 Although the wooden windows in your home may be rotting as you read this, the addition of good quality storm windows will stabilize what exists and allow the homeowner the luxury of time. Few methods offer the protection of a window more effectively than installing a good storm window. With these fitted in place the need to consider costly replacements or time consuming repair work becomes less urgent. This often eases requirements on the budget by staging repair work in batches of window units, instead of taking on financing to do all at once. 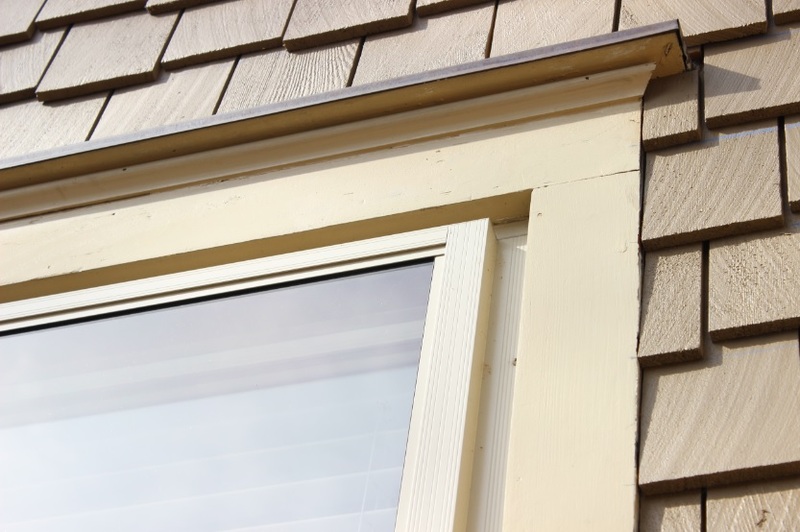 Once storm windows are installed, wooden windows can be removed without the need to cover the openings with plywood. 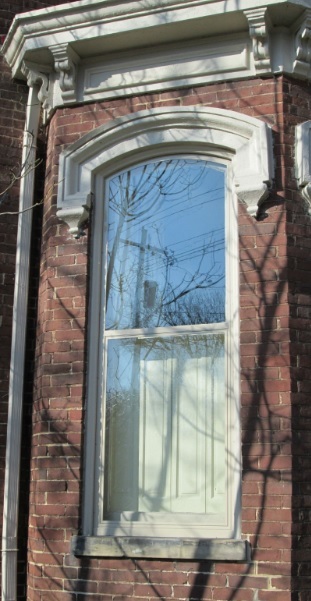 Indeed, often the new storm window generally is tighter than the wooden window sash we pull out for reconditioning. Often, a selection of those windows needing the most help, or posing the greatest concern for safety, can be made and the project staged over a period of time preferred by the homeowner. In my opinion, there is no greater ‘bang for the buck’. 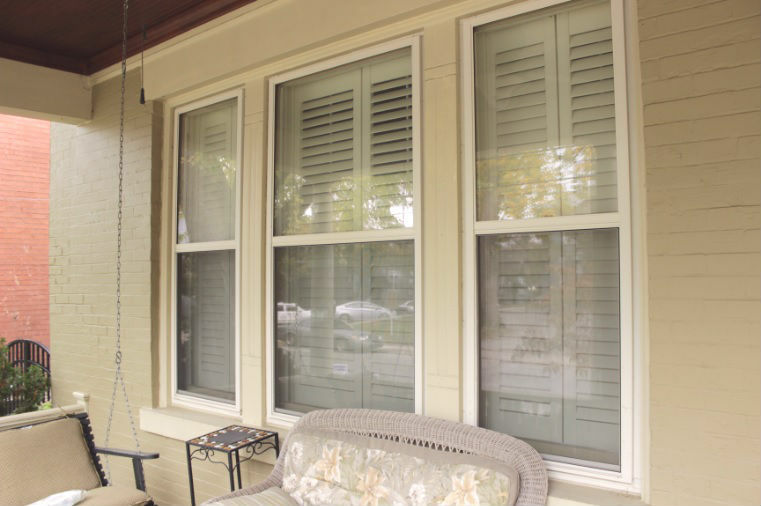 We like storm windows that protect old wooden windows for making our window reconditioning work last for generations and extending the paint maintenance cycle substantially. 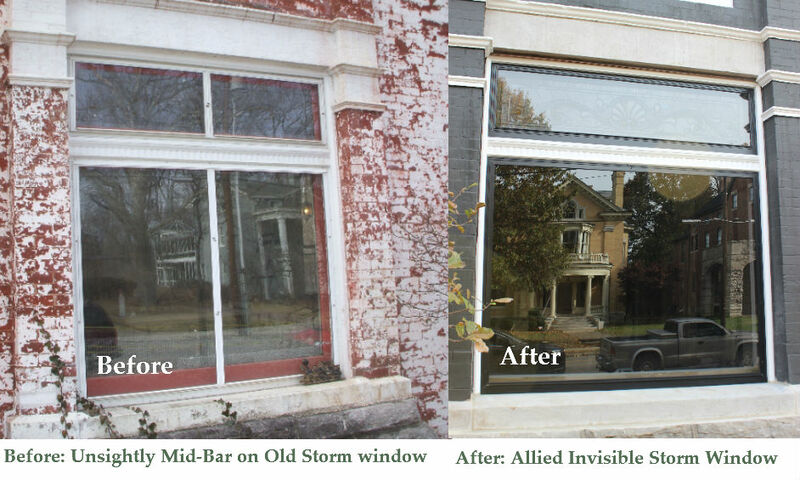 Both antique and modern wooden windows are improved with storm windows. Can storm windows slow down the deterioration of my old wooden windows? Noise is significantly reduced by the addition of tight fitting storm windows and can be still further reduced by using laminated glass. We have had success in significantly reducing noise levels along busy Main Street with this material. The high quality, modern storm windows we offer are all custom fit and offer a baked on paint finish guaranteed to last twenty years. Their lines are clean and they align with the sash they cover. Standard colors to custom painted units, our vendors make a real effort to meet the modern color pallet. 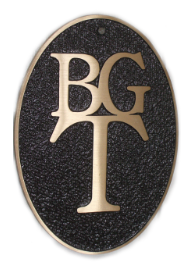 Screen panels may be in fiberglass (for a discount), charcoal aluminum, fine mesh “Real View”, stainless steel, even bronze. Mounting screws are color matched.